How are you all doing? So its almost end of December and the Christmas vibes are going so strong. Youtube is full of vlogmas videos and the blogs are all about Christmas decorations. Its so much fun when holidays are around. Everyone around are high on spirits. Isn't it? I just love reading Christmas posts. What about you guys? Raise your hands if you are super busy these days just like me so that I can know who are all sailing in the same boat as I am. :) But today I freed my Calender specially for blogging. It is been days. Today I am going talk about a cover for Samsung Galaxy Tab that I recently checked out at fyystore.com. Fyystore is an online store that offers a variety of products ranging from office supplies, home accessories, laptop and phone covers whether you are an apple user or a Samsung user. This is brown colored genuine leather cover and looks absolutely classic and sophisticated. Inside the cover on its left side flap you have pockets to keep your credit cards, cash or any go to things which you wish to carry when you are travelling. The cover is quite flexible and it can be easily rolled around so that you can work with your tab or us it as monitor to watch videos and movies. You can check out its various benefits from the pictures given on their site easily. Its available in black color as well so you have color variety and since its leather made you are going to get a long durability out of this case. I hope you liked the cover and found my article informative. Do tell me in the comment below. Hi , thanks for sharing your information.The insights are really helpful and informative. If anyone want to buy PARTY WEAR and SALWARS, this will be the rightplace for you. Thanks for sharing your awesome stuff... We are providing ultimate diy slime kit for girls and boys. All ingredients included in our kit have been lab tested for safety. We use Tide Free & Gentle Hypoallergenic laundry detergent in our kits. We are offered 37% discount for our customers. Hello to all my beautiful readers!! How are you all doing??? guys as you all might be knowing,i have acne prone skin and i am suffering from terrible acne right now;i don't know whether its the changing weather or my diet or the pollution,i am seriously clueless!! !this time i am not having one or two pimples,but quite a lot more;crops of pimples all over my face,and the even bigger problem is that its not the kind of zits that go away in 3-4 days,,they stay for very long,,and once one pimple decides to die,it gives birth to a new one at the adjacent spot.OMG!! !its so frustrating guys!! Good morning to some and night to others. Yes this is the power of internet girls. I realize it every time when I want to connect with you all and it gives me a way to do the same. well I am a big fan of lip balms. I have always been fascinated by all the new lip products that come into the market especially the lip care ones than the cosmetic ones. These lip care products really help to protect the most sensitive part of your face that is the lips and I have always been fond of them. 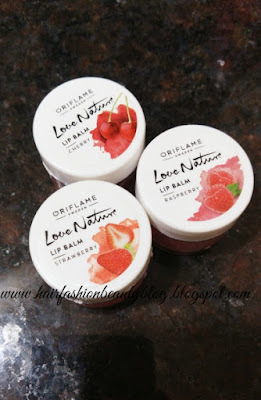 So today I am going to introduce you girls to these new lip balms that oriflame Sweden recently launched here in India that are from their collection Love nature. Isn't the collection name in itself so amazing. Yes indeed. Today we are going to talk about Oriflame India's one of the recent products i.e. 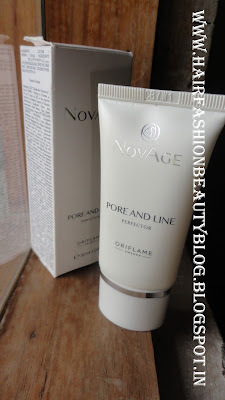 pore and line perfector from their Novage range.I guess this has been launched since last 3-4 months if i am correct.I had received this like a month or more ago but didn't had a chance to try this or include this in my skincare regime.Since the weather in north India has now gone very harsh and my ongoing skincare was not helping me much i decided to switch it and was looking for other products lying in my vanity.This was when i rediscovered this product lying in one of the drawers of my dresser.So i decided to give it a try since my skin is getting very dry,so whenever i want to put my bb or cc creams i get a hard time to blend them in smoothly.